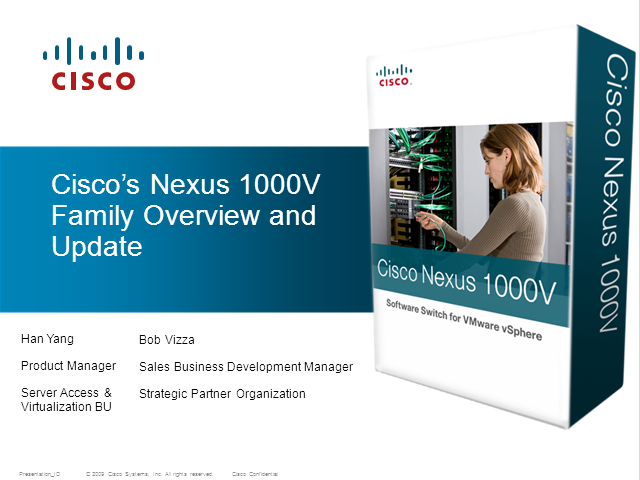 Han Yang, Cisco's Product Manager for the Nexus 1000V will present a business level view of the Nexus 1000V and discuss how this full function Cisco switch has been incorporated into VMware's vSphere operating system. He will also cover the key features of Cisco’s newly introduced Virtual Secure Gateway (VSG) and it’s benefits when connecting into private and public cloud infrastructures. This business level presentation will be available on-demand shortly after the live presentation.